The Trixie Cuddly Cave is a nice soft bed for rodents such as rats, guinea pigs and rabbits. The bed is made of wonderfully soft plush material. 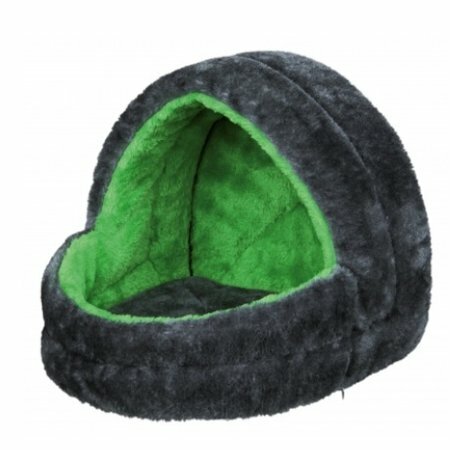 The cover of the Cuddly Cave is removable and can be washed The filling consists of foam, which is moldable and therefore comfortable for the animals. The bottom of the bed has an anti-slip, so the bed does not shift on a smooth surface.